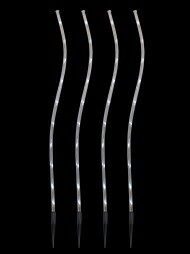 Our Lighting Connect adaptable and flexible lighting system is here! 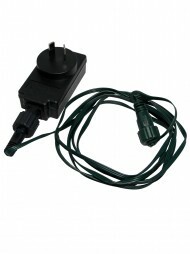 You can enjoy the convenience of the DIY Lighting Connect system to create a magical Christmas lighting display by connecting multiples of same or mixed light sets. Lighting connect components are sold separately, and it’s important to make sure you have a power source…and let your imagination free! Follow the simple steps: Step 1 for your power source, Step 2 for your lights, and the optional Step 3 for any accessories you may need to complete your dream lighting! Connect up to 400 LED bulbs. 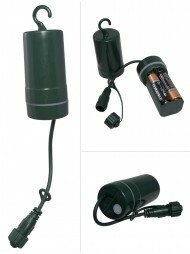 4 x AA waterproof battery compartment. Press once to switch ON. Press and hold a few seconds to switch OFF. Controlled time function – 6hrs on/18hrs off. Lights automatically come on at the same time every day. 8 function controller. Press once for lights to activate. Connect up to 1,000 LED bulbs. Photocell activated – lights turn on automatically when dark. Plugs into household power point. 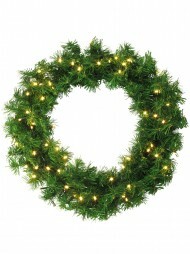 40 LED bulbs – string length: 4m – available in cool white, warm white, multi colour, blue and white. 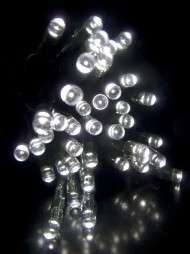 100 LED bulbs – string length: 10m – available in cool white, warm white, multi colour, blue and white. 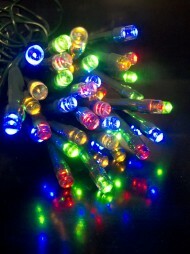 20 LED bulbs – string length: 3m – multi colour with C7 cap. 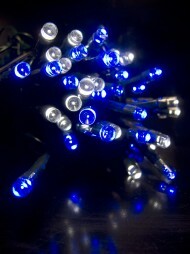 120 LED bulbs – string length: 2.3m – available in cool white, multi colour, blue and white. 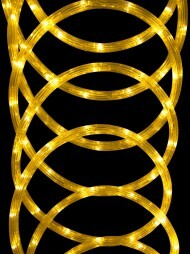 100 LED bulbs – string length: 5m – available in cool white, warm white, multi colour, blue and white. The Lighting Connect lighting system lets you build your own lights! Step 1 is choosing your power supply from the three choices: Battery, Solar, or Transformer (for a standard Australian power point.) 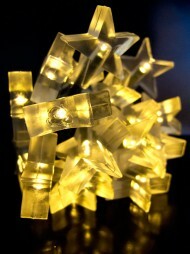 Each power source can operate a certain number of bulbs so take care with how many bulbs you attach. 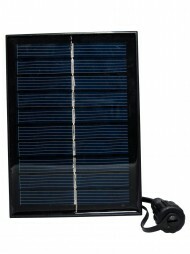 For the first time, the entire range of lights can be battery, solar, or mains powered, and you get to choose! Everything is interchangeable, so there’s no limit to your creativity. The next step is to choose your lighting style below! At this stage of the Lighting Connect lighting system, you can choose your favourite style of lights! 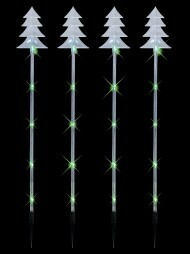 You can choose from String Lights, Icicle Lights, or Rope Lights. String lights come in 2 lengths (4m with 40 bulbs or 10m with 100 bulbs) and 4 colour combinations: Warm white, cool white, multi colour, and blue white so you really can create your own look! 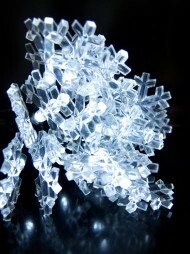 Icicle lights are 2.3m wide with 120 bulbs, and are available in Cool white and multi coloured. 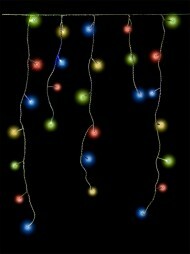 Rope lights are available in Warm white, cool white, multi colour, and blue white and are 5m in length with 100 bulbs. Combined with your choice of power source, there’s no stopping your creative genius! That’s all you need to do! If you want to create something more fancy, you can accessorise below. 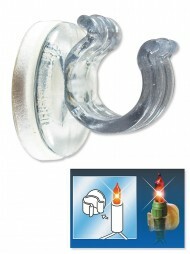 To complete your Lighting Connect lighting system, you can add these functional accessories. 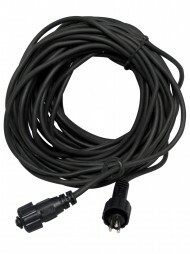 There are 2 extension cables – 5m and 10m so you can increase the distance from your lights to your power source. There’s also a cross connector so you can connect up to 3 Lighting Connect lights so they head off in a different direction. So many uses! 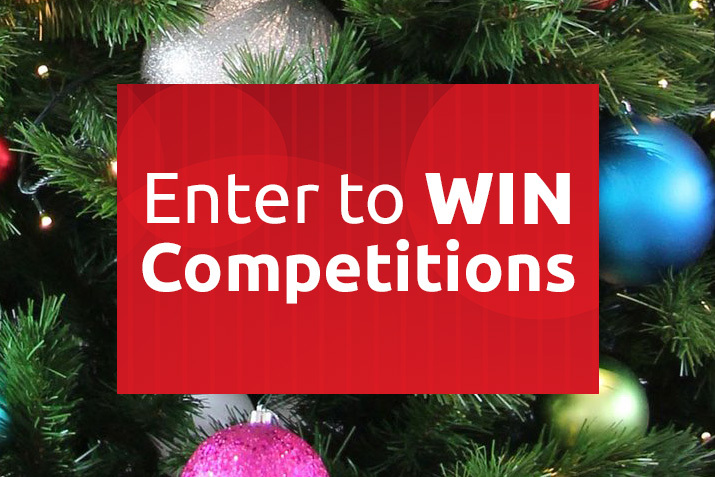 Trees, balcony railings, staircases – there’s really no limit!